Awesome laptop I use it for coding as well as for gaming and I have not yet faced any sort of lag even while playing games like CSGO or rust. The sound is also quite good. Lenovo replaces a standard CPU with a ULV processor in yet another ThinkPad. Thus, the Edge E550 sacrifices some performance in favor of power consumption and emissions. The inexpensive office laptop nevertheless makes an overall solid impression. Heat sink and Battery did not last long and needed replacement (replaced battery didn&apos;t work properly). Did not come with an optical drive and faced problems recovering data when I lost a recovery partition. Lenovo has been rising in the laptop market. The budget factor makes it competitive. Amazing laptop with great features. Powerful laptop with sleek design provides great gaming experience and easily handles large and high graphic software. Also it has never lagged till date and I will recommend you to buy this laptop if you are looking for amazing features at an affordable price. 5 Pricebaba users have written their experience with Lenovo Thinkpad Edge E431 (6886-1E6)(i7 3rd Gen/4GB/500GB/128GB SSD/Win 8/2GB GFX). If you own Lenovo Thinkpad Edge E431 (6886-1E6)(i7 3rd Gen/4GB/500GB/128GB SSD/Win 8/2GB GFX), please do leave your feedback too. Lenovo manufactures many different kind of laptops in varying price ranges. This laptop belongs to the Thinkpad Edge series and comes with high end specifications. Let’s take a look at the details of the laptop. This laptop comes with a 14-inch laptop which has a HD+ resolution of 1600 x 900 pixels. The high pixel density will ensure a crisp picture quality and an optimum viewing experience. It has an anti-glare display too. For listening to audio content, the phone has got Dolby advanced audio with stereo speakers. On the performance front, the laptop comes with an Intel core i7 (3rd gen) processor which is further coupled with 4GB of RAM which can be expanded up to 16GB. For storage, the device comes with a hybrid solution. It has 500GB of HDD storage and 128GB of SSD. The laptop runs on Windows 8 and the OS can be upgraded. 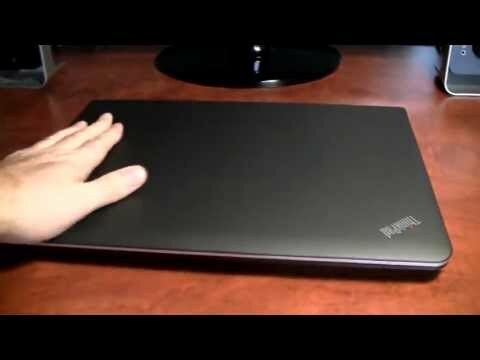 Lenovo claims that this laptop has a battery life of around 8 hours. This laptop has the basic USB 2.0 compatibility. To ensure faster read-and-write speeds from your external hard drive, there's also USB 3.0 support. The following media card formats are supported by this machine: SD, SDHC, SDXC, MMC.